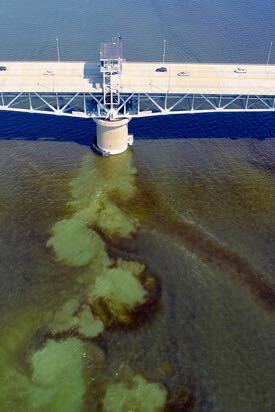 The Virginia Institute of Marine Science recently received a gift from local philanthropists Harry and Judy Wason to help detect harmful algal blooms in Chesapeake Bay. The gift made possible the purchase of an Imaging FlowCytobot—an automated, submersible instrument that captures algal images and data in unprecedented detail. 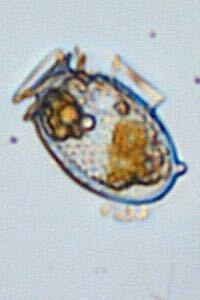 Algal species capable of producing a harmful algal bloom or HAB have increased in abundance in the York River and other areas during the last decade. Concerned local citizens, health officials, anglers, and aquaculturists have asked when is it safe to be in the water or enjoy the local catch, and they look to VIMS for answers. “Many scientists are exploring why the blooms are spreading and becoming more frequent,” says VIMS assistant professor Juliette Smith, “but my team has a particular interest in how HABs and associated toxins affect our ecosystem and threaten public health.” Recent damage to the West Coast seafood industry from a massive bloom of Pseudo-nitzschia, a toxic HAB organism, serves as a cautionary tale for Virginia and its seafood and aquaculture industries. Smith will operate VIMS’ new Imaging FlowCytobot as part of what she hopes is one day a much larger network. Located throughout Chesapeake Bay and along the Eastern Shore, the cytobot network would be the basis for an early warning system to protect human health and Virginia’s growing aquaculture industry against HABs. The collected data would also guard against biotoxin contamination in seafood throughout the region and complement research and advisory services already underway by other members of the VIMS HAB group, including Drs. Kimberly Reece and Wolfgang Vogelbein. 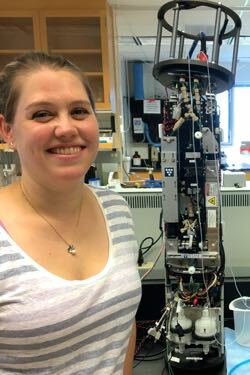 When the Wasons heard Smith enthuse about a cytobot she had worked with as a postdoctoral scholar at Woods Hole Oceanographic Institution and describe how that technology could improve the quality of life around Chesapeake Bay, they quickly saw the importance and potential impact. “Chesapeake Bay is a treasure,” says Harry Wason. “Judy and I were immediately excited about the opportunity to gain a better understanding of algal blooms and the potential of this technology to improve lives.” The project did so much to stir the Wason’s imagination that they agreed to contribute to VIMS for the purchase of its first cytobot and to support a graduate student who will work with Smith to train the instrument’s powerful software systems. The Wasons are closely following the progress of VIMS’ first cytobot as Smith and colleagues prepare it for deployment in the York River. “We hope others will be inspired to help fund additional cytobots and create a Chesapeake network,” says Judy Wason.